California is ranked first in the nation in fatal dog attacks. Dog bites occur every 75 seconds in the US and an estimated 4.5 million people are bitten by dogs each year. Unfortunately, the majority of dog bite victims are children, and approximately 75% of child dog bite cases, the dog belongs to a family member or friend. Dog bite losses exceed $1 billion per year, with over $300 million paid out to victims by homeowner’s insurance. Clean the bitten or infected area with soap and water as soon as possible and seek immediate medical attention. Check with your doctor immediately or otherwise go to the emergency room if your doctor is unavailable. Take down the owner’s name, contact information and any witnesses who might have seen the incident. Call the police and animal control to file a report, insist that the dog should be quarantined. To strengthen your case, take pictures and keep any evidence relating to the incident. In California, a dog’s conduct and behavior is always the owner’s responsibility. 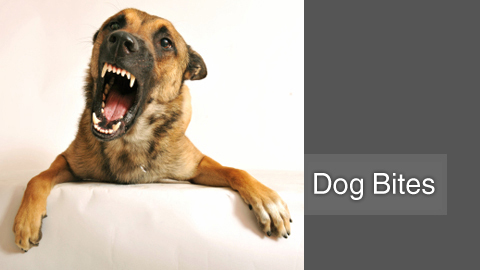 This means that if a dog bites another person, the owner is responsible no matter what the dog’s breed or cause of the attack. The dog owner’s personal assets. The medical bills for a dog bite attack can be staggering. Unfortunately, the emotional cost to the victims is even greater. Please call us toll free at 1-888-97-97-97-8 to speak with an dog bite attorney in Beverly Hills.